I’ve always preferred tea to coffee. Raised by an English mother, the day never officially started until the kettle had boiled and a pot of tea was on the brew (Ceylon Orange Pekoe x Darjeeling). Tea is my biggest distraction and greatest motivator. How many words have I written fuelled by a hot cup of Sencha or a pot of Earl Grey? Spreadsheet, or another cup of Chai? Tax return, or 15 cups of Camomile? Tea can soothe me when I’m on the edge of mania, and inspire me when I’m a blank, useless chalkboard. I recently visited The Tea Festival in Sydney and was overwhelmed by all the tea, glorious tea! An entire world of tea was on offer, little tasters poured into tiny paper cups: oolong, Australian-grown green tea, tisane blends I had never thought possible, and of course, all the traditionals. I burnt a whole in my wallet and chatted passionately with the various tea connoisseurs, blenders and enthusiasts in the building. This blog is my exploration of the world of tea: from Australia to China, Fiji to Sri Lanka, Africa to Japan. Matcha to kombucha, white tea to tisane, English Breakfast to jasmine pearls, and iced to bubble. I’ll review blends, brands, venues, events and wares. I’ll offer recipes, tips, how-to guides, photo-galleries and tea facts. Better start my next blog post then. But first, tea… Green or black? Peppermint or liquorice? 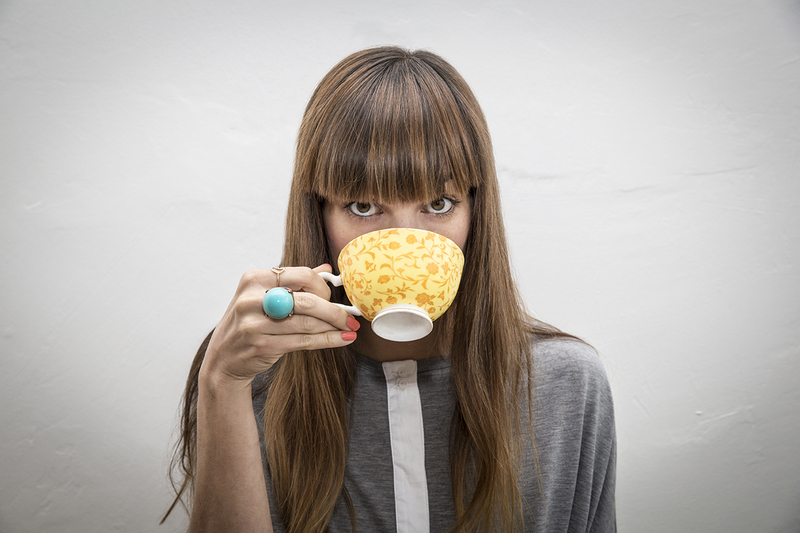 The Tea Lady is a writer and yoga teacher from Bondi Beach, Sydney. Recipe: the best chai in India! The Tea Lady | A blog about tea. Tea reviews, recipes, tips and pics.